This is such a wonderful review, as always, Keertana, but please, just this once, allow me to focus on something else: YOU ARE READING FEED! I wanted to run around my living room flailing, but I'd be setting a bad example for my already hyper kid. SO EXCITED. Fantastic book review Keertana!!! I wish I had your awesome super powers in writing such amazing reviews! I am so not reading this story! I know I would just fall in love with this two as a couple and then the rug would be pulled out from under me! WHY write such and ending?!! I'm guessing of course but the title gives it away! Wow, I don't think I've such a detailed and passionate review of this book! I've wanted to read it since late year but for some reason I just keep forgetting about this book. I think I will like the way it's written but like you I will probably be annoyed by the ending, it's almost a shame that we already know how it will end :/ Brill review, hun! Keertana, dear friend, I saw your rating of 3.5 and thought I'll skip this one. I just saw it on somebodies Stacking the Shelves which was why I stopped when I saw the review from you. 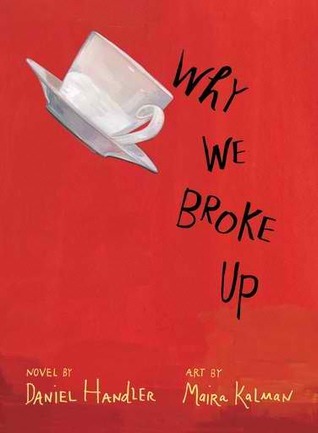 Since your reviews are so thorough and then I saw the author "Daniel Handler" which means nothing to me. Then I saw the "Lemony Snicket" part and decided to read your review. DAMN YOU! 2519C and hence it can't radiate any such items or substances. like butane powered or electric powered ones. healthiest way. It is a must to research on the way a vaporizer actually works. It is wise to always order water with any other beverage, besides, it's usually free. This product began as a fragrance combined with citrus oils. Daniel Handler has nailed that crazy-amazing feeling of being a smartypants teenager in deep smit, despite all the signs (such as disapproving friends) that it's not the best match. I love the illustrations, I love the structure of the book, and I loved touching that delirious angsty part of my heart that I thought was faded away. How did he do it? This is a must-read.